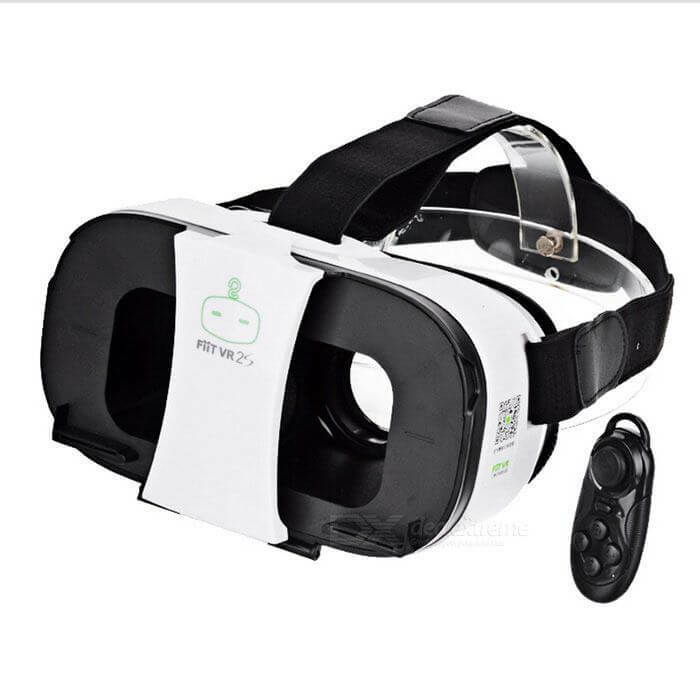 There are a lot of low cost VR headsets that are cheap and reliable alternatives to Google Cardboard. It make sense to not spend on an Oculus Rift or HTC Vive without first trying out the VR experience. The best part Is that the costs of these cheap headsets range between thirty dollars to a hundred. Of course, all these headsets are based upon smartphones, so you’ll need an iOS or an Android to make them work. You can usually get this one within eighty dollars or so. Daydream is a great platform, very easy to use, with a superb VR interface, and a continuously-increasing selection of apps – Daydream is an open platform, after all, which means there will always be new apps being created for it, and lots of compatible headsets and hardware. Of course, the phone that you’re using needs to be compatible with Daydream. Generally speaking, it’ll need to have Nougat to work. The headset is simple to the point of being barebones, and all the real functionality is supplied by your phone. In keeping with google’s original concept, the actual daydream headset is little more than a shell with the right lenses. The headset’s controller has a motion sensor, which allows for hand tracking. This headset wins hands-down – even over high end sets like the Rift and Vive – for ease of installation and use. You don’t have to configure anything. Just download the app, slip the phone into the headset’s slot, and you’re good to go. The calibration of the headset is done automatically by the app, and when you put it on, you’re inside a virtual world where you can intuitively choose apps, watch videos, play games, and much more. Which brings us to perhaps the best part about Daydream View – the number of apps compatible with it run into the thousands. And developers are creating thousands more. 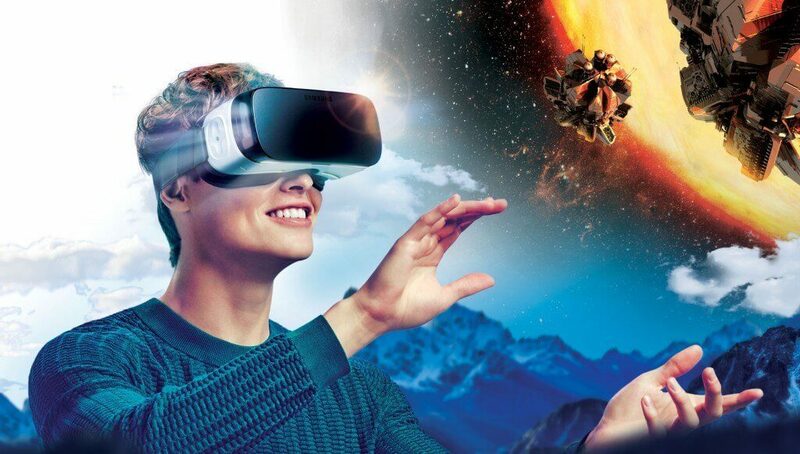 This headset really does allow you a whole virtual universe to explore. One of the simplest Google Cardboard alternatives requires neither a Daydream-compatible phone or a Samsung. 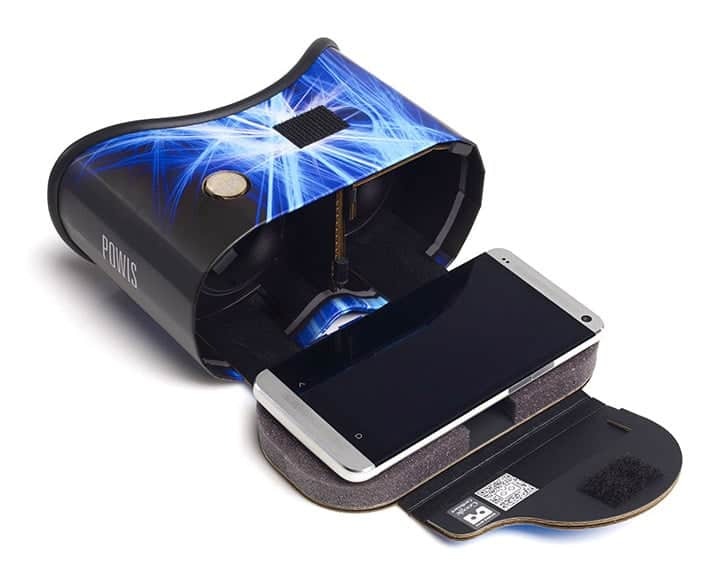 The FiiT VR 2S is compatible with any phone that has a gyroscope, as most phones do these days. It’s very cheap, retailing from between sixteen to twenty dollars, depending on where you get it from, and the deals being offered. It also allows for individual lens adjustments. It’s important to note that this viewer doesn’t have a button that lets you control the phone from the outside. Android phones allow you to interface with a separate controller. But if you happen to own an iPhone, this could be quite a problem. The FiiT VR 2S is one of the most comfortable headsets we’ve tried, and it can be worn even if you have glasses on, which doesn’t hold true for every headset. The problem with the phone-based VR scene today is that we have different phone companies creating headsets that are compatible with ‘their’ phone, and which can only use ‘their’ apps. In short, if you own a different phone, you cannot access the apps and software of a competing company. But that’s quite alright, because the Gear VR is its own universe of possibilities, and the 2016 version comes for less than fifty dollars these days. The newest version has a motion controller, which means that the Gear VR is up to par with the Daydream in hardware and interface. The Oculus store has a reasonable selection of apps, but hardly as much as Daydream. This is rather a disadvantage. 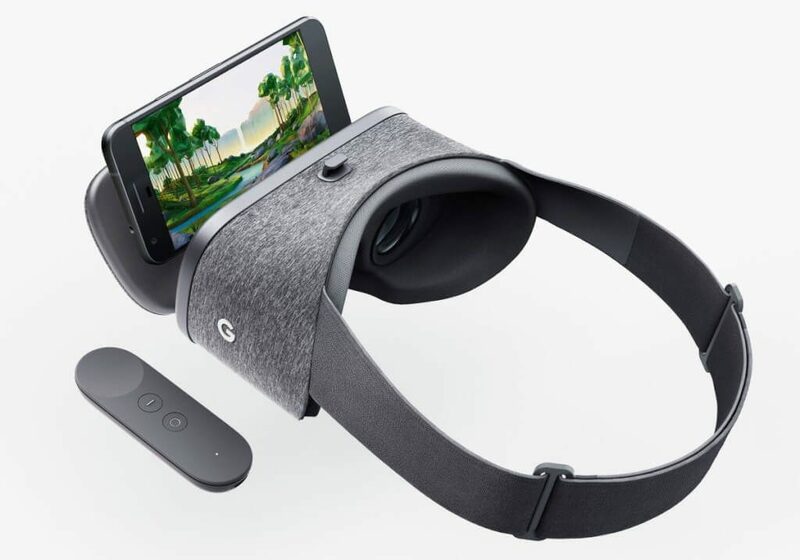 If you have a Samsung phone, and cannot opt for DayDream, the Gear VR does provide a reasonable experience, but I would still recommend getting a cheap Google cardboard so that you can access Google cardboard apps. This is a good one, small enough to fit into one’s hand. 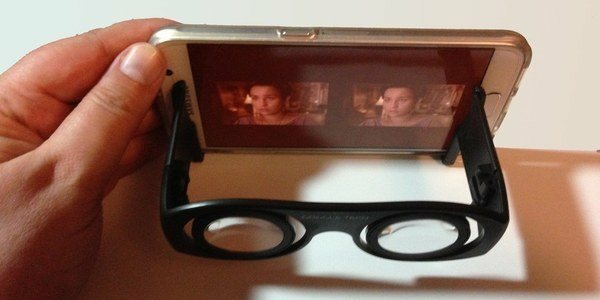 There’s no box, no headset, just a couple of lenses that clip on to your phone. It’s relatively cheap, at less than ten dollars. 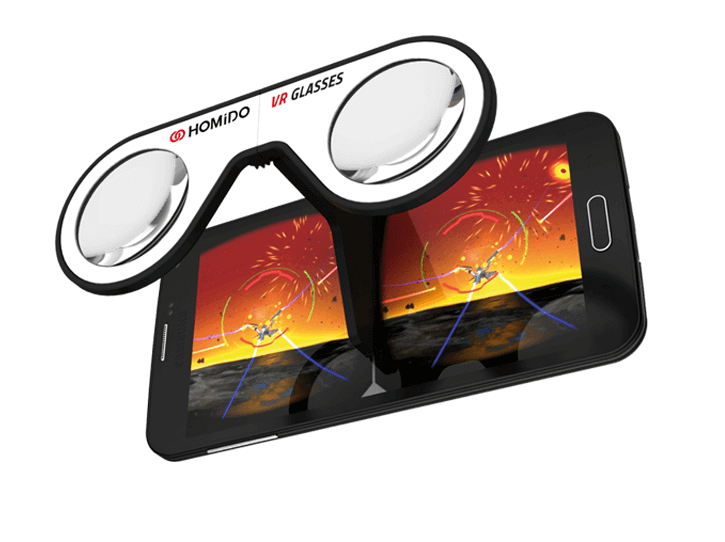 However, there are actually a lot of folding lens-based VR viewers out there that are even cheaper. A little more expensive than the Homido Mini at around twenty five dollars, but with considerable advantages, the Google Tech C1 Glass is a very good choice. The advantage lies in stability. The Homido has just one arm, and this can shift position on the phone if you’re not careful. However, the Google Tech C1 Glass is just as compact, but holds on to the phone with two arms. The best part about these ‘open sided’ headsets is that you have full access to the phone’s controls, all the time. These are very slick, and great if you want a cheap but impressive headset for corporate events, or to give away with a product. There are massive discounts on these headsets if you buy them in quantity from the company. They are also folding, which means they can be stored flat. Powis headsets without a built in button are very cheap, but the V2 Powis is very good because it has a control button conveniently located on top of the headset. This is the version of the Powis that is most recommended – don’t buy any other, because flaws in previous versions have been corrected here. The Powis custom headset is also a very good device, ergonomically manufactured to fit into the hand comfortably, and with a very intuitive design. There’s ‘I am Cardboard’, which is actually made of cardboard. Others in this category are ‘Unofficial Cardboard’, KnoxLabs, and Mr. Cardboard. The Cobra VR is also reasonable. There are plenty of others at a very reasonable price, but the ones above are really the best. If you experiment with other headsets, make sure you have three things covered.. The lenses should preferably be adjustable. There should be a control button, and preferably not a magnet button, which can fall off. There should – preferably – be a strap that could hold the headset on.